Today we had a memorial at work for a former staff member who’d had a great impact on the direction of the culture of the school. (I hadn’t met her.) She sounds like an amazingly generous woman who was very patient, gave a lot of herself, yet wasn’t afraid to ask the big questions like “Why am I still here?”, “Why are we still trying this if it isn’t working?” She also planned who could come into the school after her for the next phase of work. Moe mai, moe mai, moe mai ra e wahine toa. Almost at the end of #blogjune and I’m tired. I haven’t even been reading other people’s blogs, only trying to keep up with my own. I expect that once I slow down with the writing, I’ll start reading other things. I’m a bit like that though – all or nothing. I like to binge read people’s stuff. If you’re reading this, I hope you’re well. Tonight I am off to the opening night of Hīkoi, Nancy Brunning’s award winning debut play. I saw a workshop performance of it last year. I’m looking forward to seeing the finished product. The theatre is also doing an audio described performance which I think is a fantastic thing to do. A friend of mine (St. Jonny) has a reading project each year. He’ll set himself a new aspect of writing to explore. This year (or next year, I really must check which) is his #YearOfReadingMassively. Twelve books of over 1000 pages each. Some of us are reading along with him. My book is Bleak House by Charles Dickens. 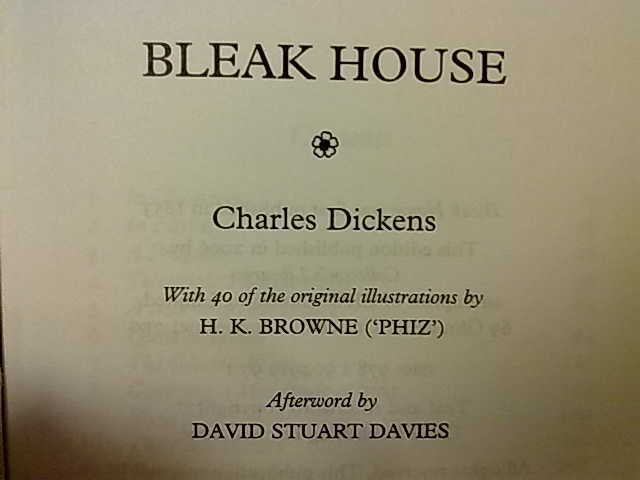 I’ve got that title because when he asked which of two titles should be on the list I replied “Not Bleak House, because ‘bleak’. Disclaimer: have not read.” A colleague said ‘Oh, I love Bleak House, it’s so funny.’ I relayed this to St. Jonny, and Bleak House made the cut. Since I’ve let other people know I’m reading it though, it appears my first instinct was correct. Oh well. Apparently Dickens used to read this aloud, so I’m going to try that if things get too depressing for me. We’ve had a couple of earthquakes here today. A 4.9 this morning and a 4.8 this afternoon. Neither of them was very close to Wellington, and neither were particularly nasty. This afternoon’s one was heralded by the slight shaking of the origami unicorn on my monitor. Nice to know I have an early warning system for distant quakes. I stumbled across Sarah Laing on Twitter (naturally). I was following a bunch of authors and it seemed like their books were coming out all around the same time. At Armageddon Auckland 2013 I picked up numbers 1&2 of her comic Let Me Be Frank. The stall had sold out of her novel. I got Let Me Be Frank 3&4 from the Pikitia Press website. 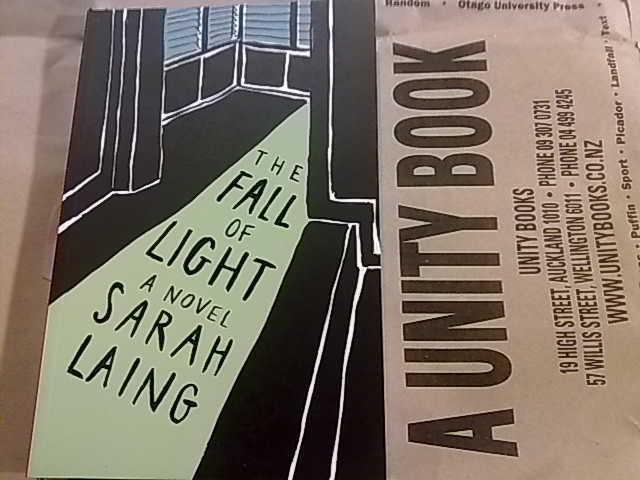 Then when I was browsing the shelves at Unity I found a copy of her novel. I am very much looking forward to reading it. My current favourite comic of hers is Dissatisfaction. I imagine its voice has a highpitched, English posh, Dalek inflected quality to it. It makes me laugh. My friend Donna and I send mail to each other irregularly. Mine are full of stuff and nonsense, hers are full of stories about exploring Christchurch with her daughter. They are stories of an ordinary suburban life – we went to the park, we fed the ducks etc. Against the backdrop of post-earthquake Christchurch they are something quite different. She’s guest posted on the Ruminator this week with Ch-ch-ch-ch-anges. Her personal blog is called Episode. Donna is amazing like cake. Most of my #blogjune posts this year have been quite short. Mostly not more than a paragraph, sometimes not even that. It’s because if it doesn’t get written at work it doesn’t get written on a keyboard, & I’m typing it out on my not-quite-smart-enough phone. I tend to take my lunch at my desk anyway so I set aside 20mins or so to write something. There’s not necessarily much more than a paragraph that can be written in that time (at least for me) but the discipline of it worked. It continues to work but only if I have time for it. For example, today I bused into town for cake, and to drop off my overdue library book. 40 mins later I’m back at work, eating lunch & checking in with the team. No time for blogging at work. I’m not at work on the weekends. I sometimes fire up the laptop, but it’s a bit like my phone. (Both of them are on their last battery bars I think.) But hey – #blogjune continues here. The flat had some people around for brunch today. I made my standard coconut-milk pancakes and the visitors brought haloumi cheesecake (also from the Hungry and Frozen cookbook.) We ate the pancake-pikelets with lemon drizzled persimmon, lemon curd, and bacon, banana and maple syrup. The cheesecake was super savoury so I’ve just had another slice with crackers for dinner. Delicious.